iManage, the company dedicated to transforming how professionals work, today introduced iManage Records Manager 10.0, the newest version of its industry-leading Information Governance and Records Management solution. A new integration with iManage Work 10 and a complete redesign of its user interface gives attorneys a fully integrated and consistent user experience onto client-matter material, both electronic and physical, on any device and from anywhere. iManage Records Manager, an industry leading product with over 500,000 users, provides a central interface with advanced capabilities to manage both physical and electronic content. Administrators can set governance policies, including trigger events, retention periods and disposition rules, as well monitor and enforce compliance on both records and non-records without introducing burden or overhead for today’s busy professional user. Seamless Integration with iManage Work 10: Control risk by managing all iManage Work content in place. Nothing is taken out of iManage Work and stored somewhere else. This helps to reduce storage costs and increase user adoption because professionals know there is only once place to go to find the information they are searching. 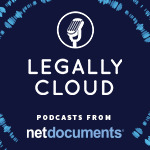 Single Access for Electronic and Physical Records: Lawyers can work with both electronic and physical content through an intuitive browser based interface. Manage-in-place capability: Administrators can apply and action disposition policy onto electronic and physical client matter material consistently, regardless of location. 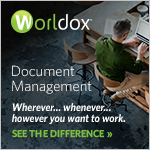 Content no longer needs to be moved into the document management system in order to manage its disposition. iManage will be demonstrating Records Manager 10.0 at this year’s ARMA L!VE Conference 2017, the premier event for records managers and information governance professionals, providing cutting-edge solutions to the challenges information governance professionals face today. The event takes place October 15-17 in Orlando, Flo. Conference participants can attend the iManage Solution Showcase Session, Information Governance “Must Haves” on Monday, October 16. Please visit iManage for additional details.